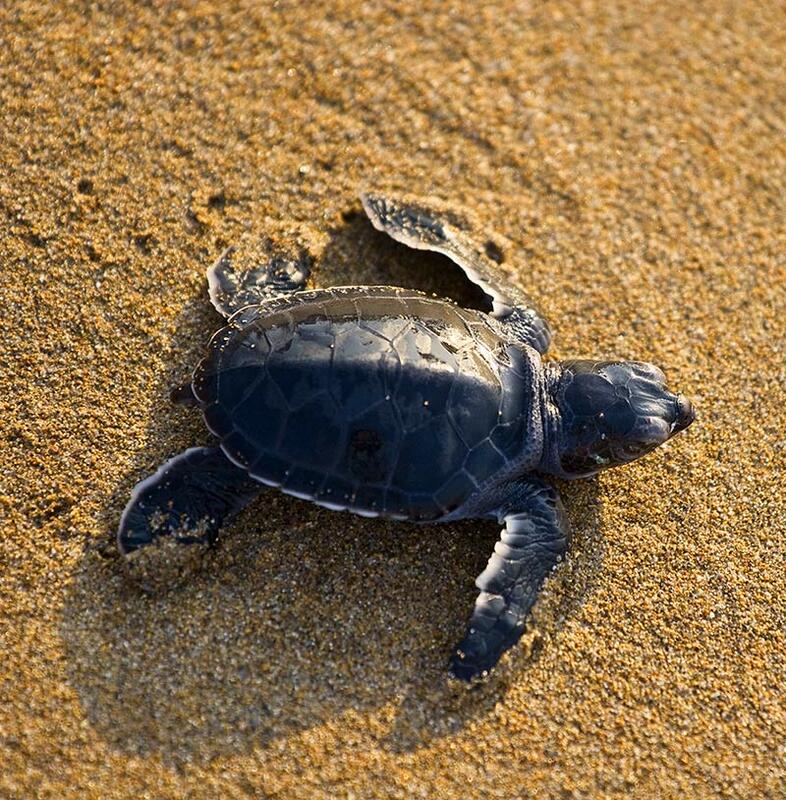 Reptiles can be found on the Pacific and Atlantic coasts of Canada in the form of sea turtles! Sea turtles migrate to Canadian waters to feed, mostly on jellyfish during the summer months. • Up to two metres in length. • Up to 900 kilograms in weight. • Found in tropical to sub-polar regions. • Tear-dropped shaped body with leathery carapace with 7 ridges running the length of the back. • Black to dark brown with white spots, and the underside is pale in colour. • Patterned of pink spot on top of the head that is used to identify individuals. • Largest of all the sea turtles and one of the largest reptiles on Earth! • Up to one metre in length. • Up to 113 kilograms in weight. • Found in tropic waters to temperate regions. • Reddish to brown in colour with a yellowish-brown plastron. • Very large head with heavy strong jaw. • Carapace (shell) is heart-shaped, bony without ridges, and non-overlapping, rough scutes present with 5 lateral scute. • Front flippers are short and thick with 2 claws, while the rear flippers can have 2 or 3 claws. • Average length is one metre. • Average weight is 150 kilograms. • Shell colour varies from pale to dark green and from solid to vivid combinations of yellow, brown and green. • Oval shaped carapace, and hard, smooth shell with 4 costal scutes.